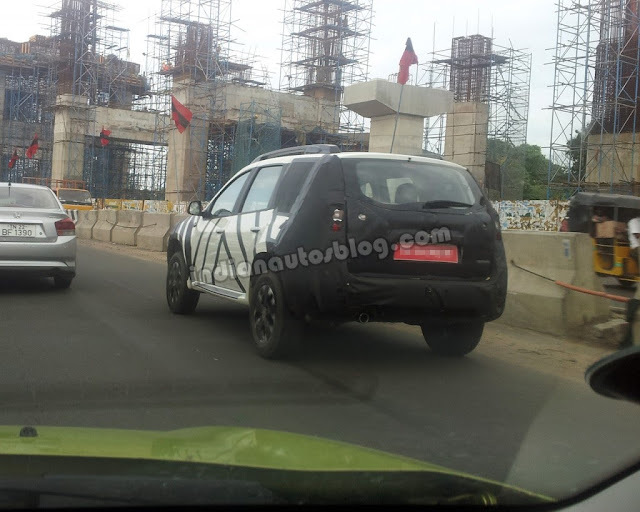 If you are a regular reader of Wheel-O-Mania, you would be knowing that Nissan's Terrano - SUV based on Renault's Duster platform is due for a launch in September / October 2013. However, Nissan has confirmed that the car would come with lot of changes especially on outside, with entirely new front bumper, headlights and modified rear bumper and tail lights. Nissan also hinted on changes in the sheet metal parts. 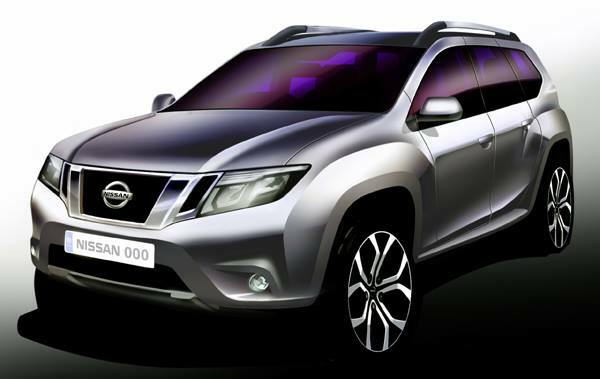 There were several renderings on Nissan's Terrano SUV before the Japanese carmaker officially revealed teaser image of the car and indeed the car looks much more like an Urban SUV, more modern than the current Renault Duster. 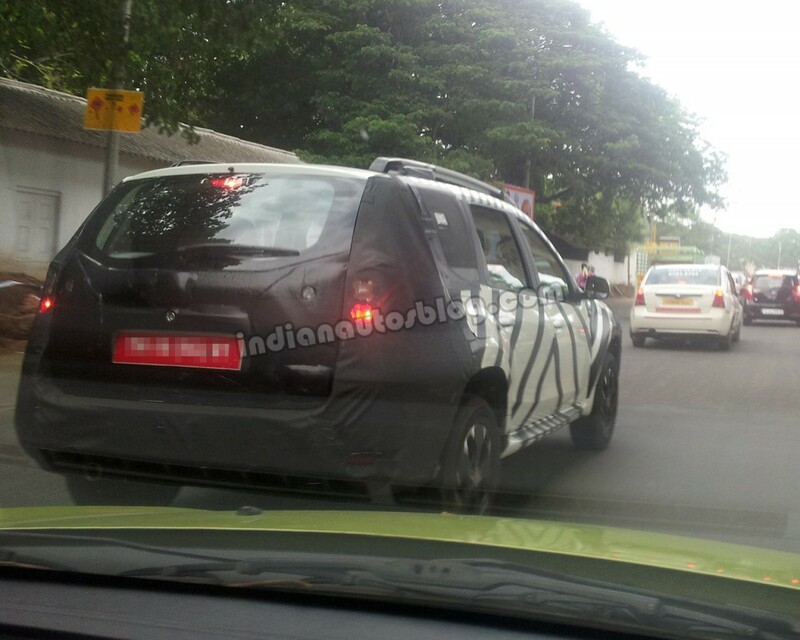 This is for the first time that Nissan's Terrano has been spied in India. Mr. Gokulraj Kanagaraj, reader of IndianAutosBlog spied the images in Chennai and here are a couple of shots from the exterior, interiors and other angles. 1. Nissan Terrano though heavily camouflaged from the front, reveals the aggressive looking nature of the car. The car would look much similar to that of the Official sketch revealed by Nissan. The honeycomb grill could resemble exactly from the teaser and as seen on other Nissan's vehicles ! 2. The alloy wheels found on the test mule resembles the one showed in the sketch. Definitely much better than Renault Duster. Afterall the premium of Rs 50K apprx. needs to be justified as we saw in case of Sunny / Scala. 3. 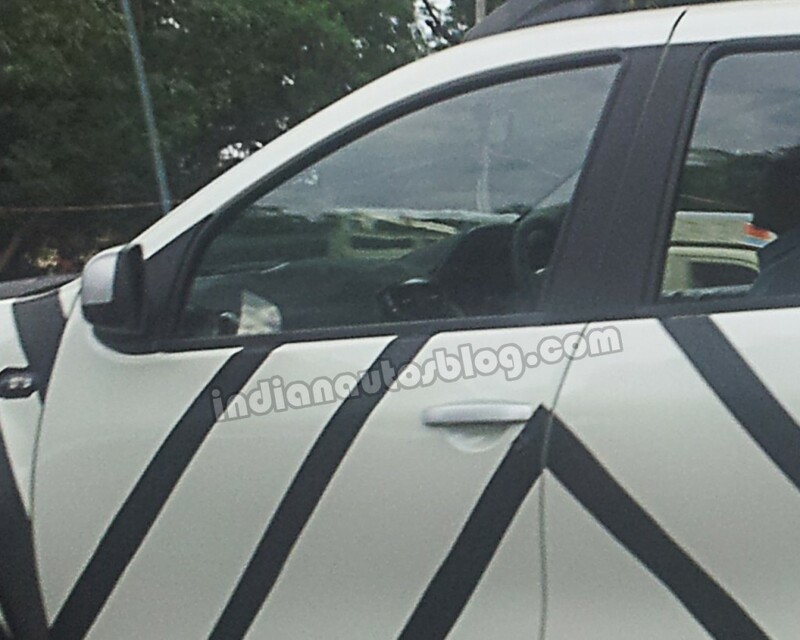 When viewed closely, the interiors of Nissan Terrano also hint to be altered. The AC vents resembles to that of one's found in Nissan Sunny and Micra - they are rectangular shaped than Renault's circular shaped. 4. 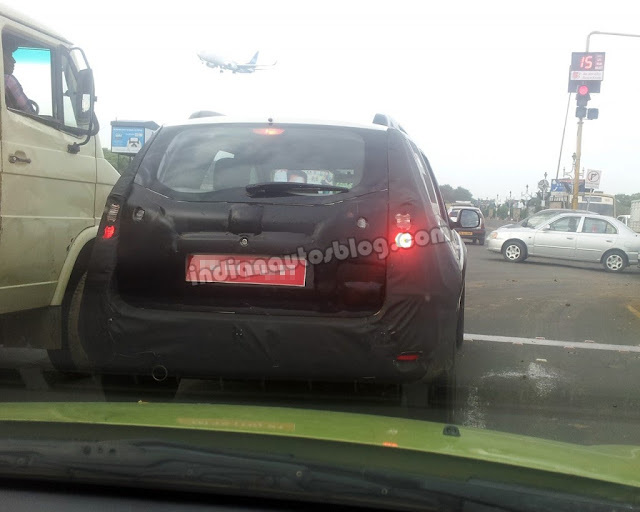 The model caught testing looks to be higher version as you can easily spot the rear wiper and 15/16" alloy wheels. Nissan's Terrano would come with no mechanical changes and would be powered by 1.5L K9K Diesel mill with power output of 85 PS and 110 PS options. 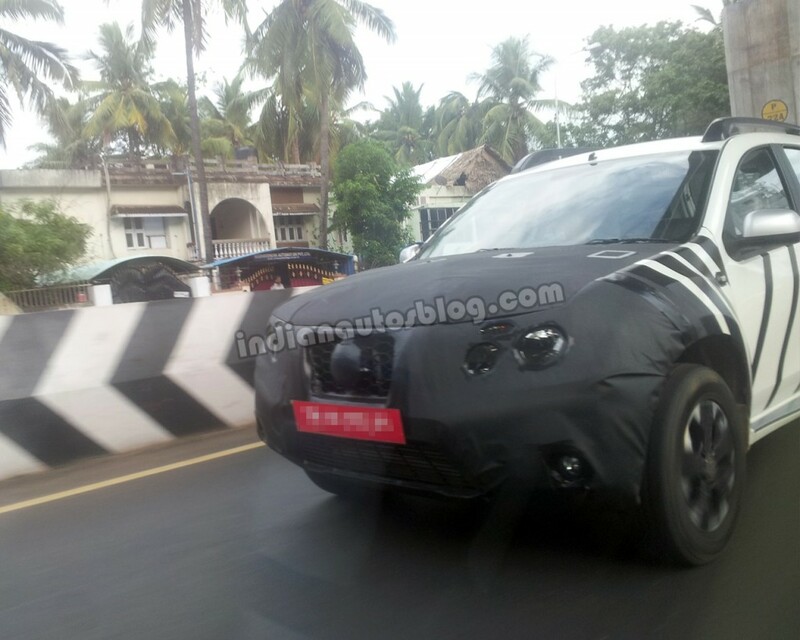 The gasoline spec would be powered by 1.6L petrol engine currently doing duty in Renault Duster and other Nissan and Renault variants.